Personalize your law school experience and become a leader. 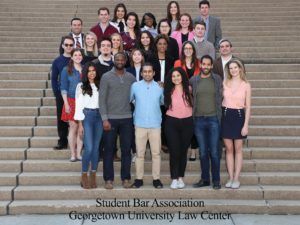 Georgetown Law offers an incredibly rich array of student organizations and programs that allow you to personalize your path through law school. Whether you are advocating for human rights, networking with attorneys from around the globe in your fields of interest, playing softball on the National Mall, or performing in a legendary Gilbert & Sullivan Society show in our own Hart Auditorium, you’ll have abundant opportunities to hone your leadership and lawyering skills, make new friends, expand your professional opportunities, and make a difference in D.C. and the world. 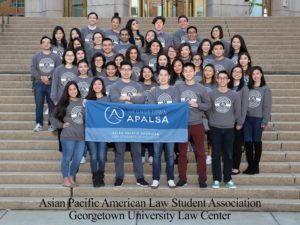 Georgetown Law has 85+ registered student organizations that sponsor programming across a broad range of legal disciplines, provide support and activities for ethnic, religious and other identity groups, promote social justice causes and host social gatherings. Georgetown Law is proud of its rich tradition of shared governance among students, faculty and staff. Members of the Student Bar Association advocate for their fellow students, collaborate with faculty and staff, and implement campus-wide programming and activities. 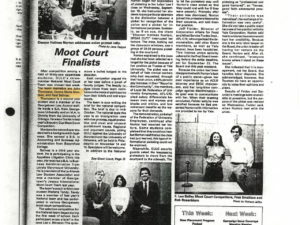 Continually placed among the top ten teams nationwide by the University of Houston and U.S. News rankings, Georgetown Law's Barristers' Council excels in national and international appellate advocacy, mock trial, and alternative dispute resolution competitions. Home Court is the annual charity basketball game between members of Congress and members of the Georgetown Law community, with proceeds going to the Washington Legal Clinic for the Homeless. During it's 30 year history, Home Court has raised over $8.5 million. 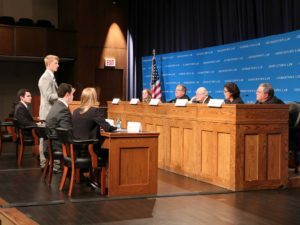 The Georgetown Law Weekly is the Law Center's fully student-run and written newspaper, providing coverage of campus news, as well as cultural commentary and opinion aimed at students.